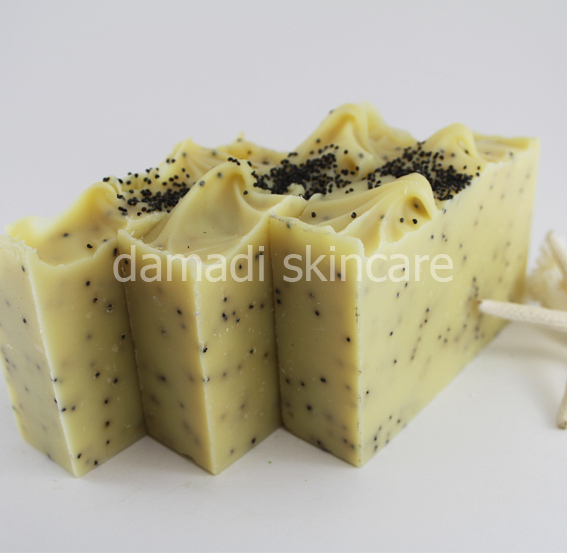 Lemongrass, Lemon Myrtle and May Chang essential oils dotted with exfoliating poppy seeds. This soap looks better than it tastes. Delightfully scrubby for those seeking exfoliation. love this soap - great for exfoliate - love the poppy seeds! !